YETIs are open to the public to join! We welcome your contribution to helping end youth homelessness in the Southeast Region. The YETI is composed of homeless service providers, youth services agencies, McKinney-Vento Liaisons, members of the Department of Children and Families, Department of Education, and Department of Mental Health and Addition Services, as well as advocacy groups in the region and youth with lived experience. View the YETI leader contacts to get involved in your community/region. The goal of the Southeast Youth Engagement Team Initiative, or YETI, is to organize the community to bring together partners and stakeholders and create a plan to end youth homelessness by 2020. Youth and young adults, between the ages of 14-24, can be one of the most difficult populations to engage but also the most vulnerable. In connection with this goal, the Southeast YETI is responsible for organizing and operationalizing the region’s annual Youth Count! To read more about the Youth Count, click here. If you are a youth or young adult struggling with homelessness and housing instability in the Southeast region call 2-1-1 and connect with them for assistance. You can also visit youth-help.org for information on resources in your area. If you are aware of any youth who need housing, you can assist the individual by calling 2-1-1 with them. A representative from 2-1-1 will assist the individual with the next steps in securing shelter and housing. 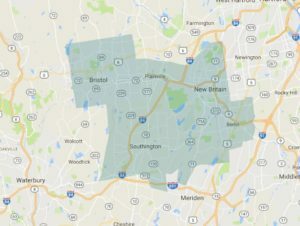 Southeast Regional Data from 2017 CT Youth Count!